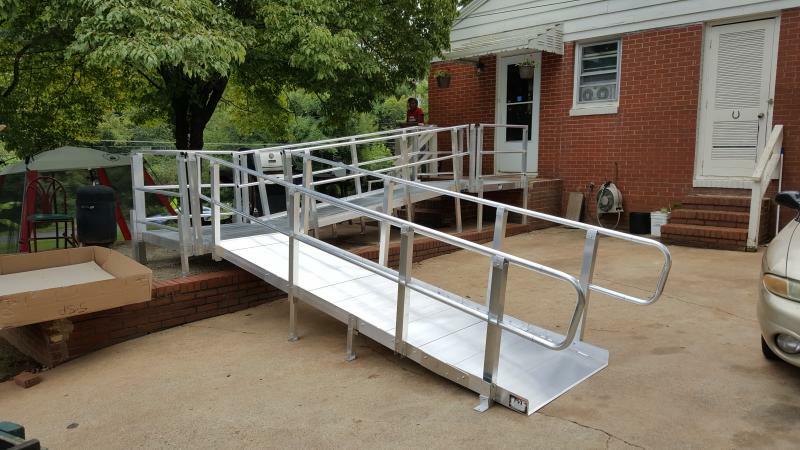 The portable ramp below is a new 12' folding ramp with solid casters in the center used to make it easier to fold it and move it out of the way. 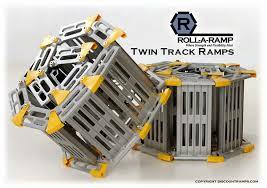 The ramp comes with two, optional metal dowels you can use to secure the ramp to the top of a landing. This 12' long, 30" wide ramp weighs 98lbs. 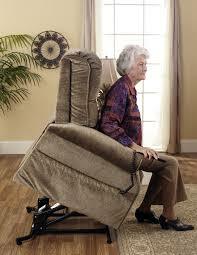 and offers a weight capacity of 600 pounds. 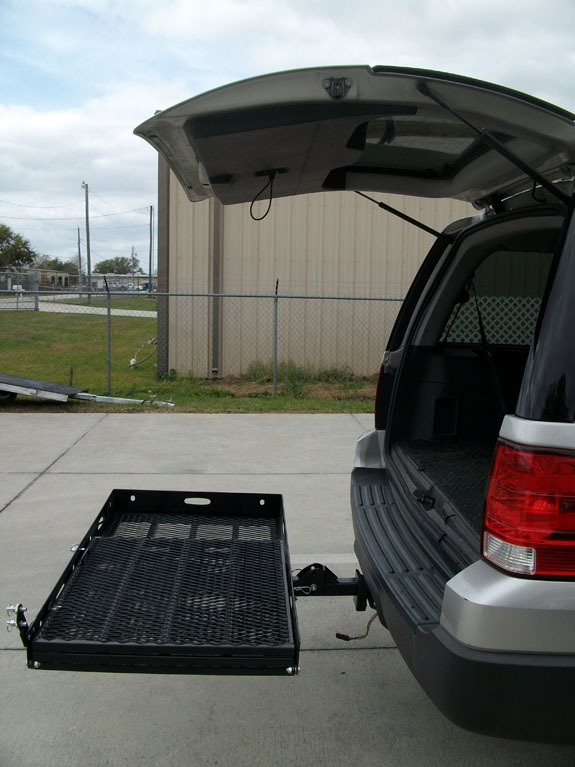 The ramp surface offers an anti-slip material. 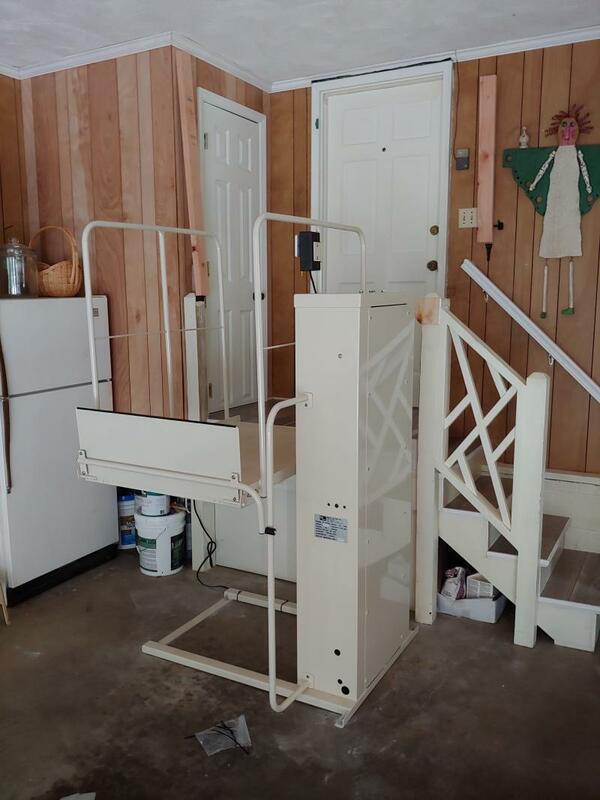 If you're tired of being a prisoner in your own home, our platform lift may be the right solution for you! 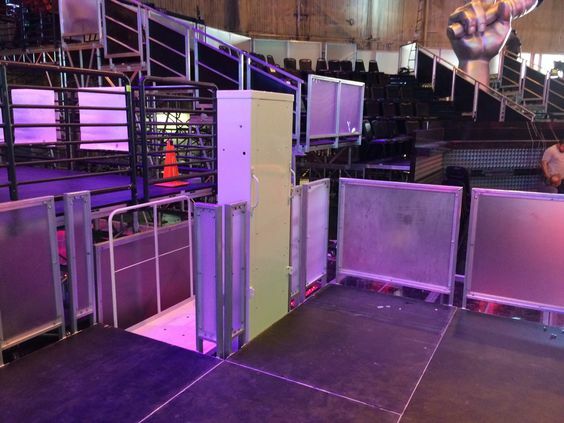 Four anchor points keep the lift secured to the garage floor. 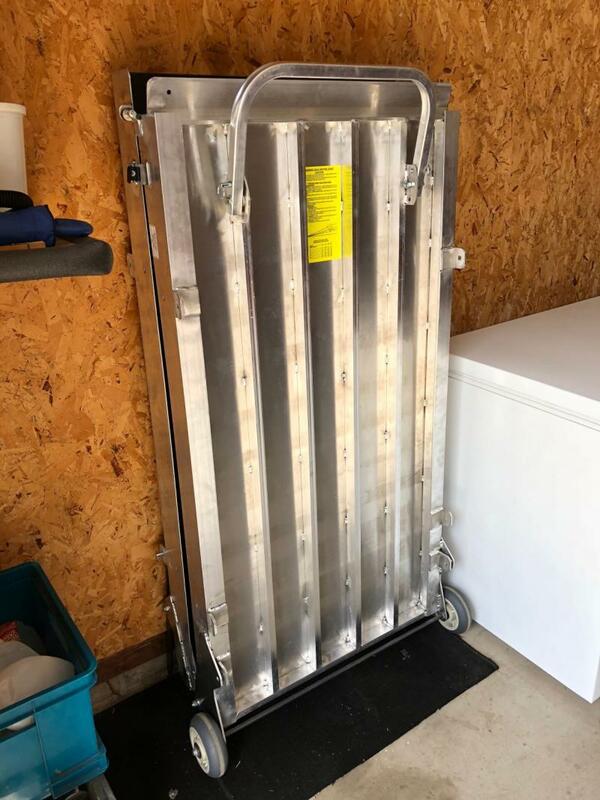 Our lift travels as high as 50" & has a 750 pound weight capacity. We also offer a lift with a 90" height capability. 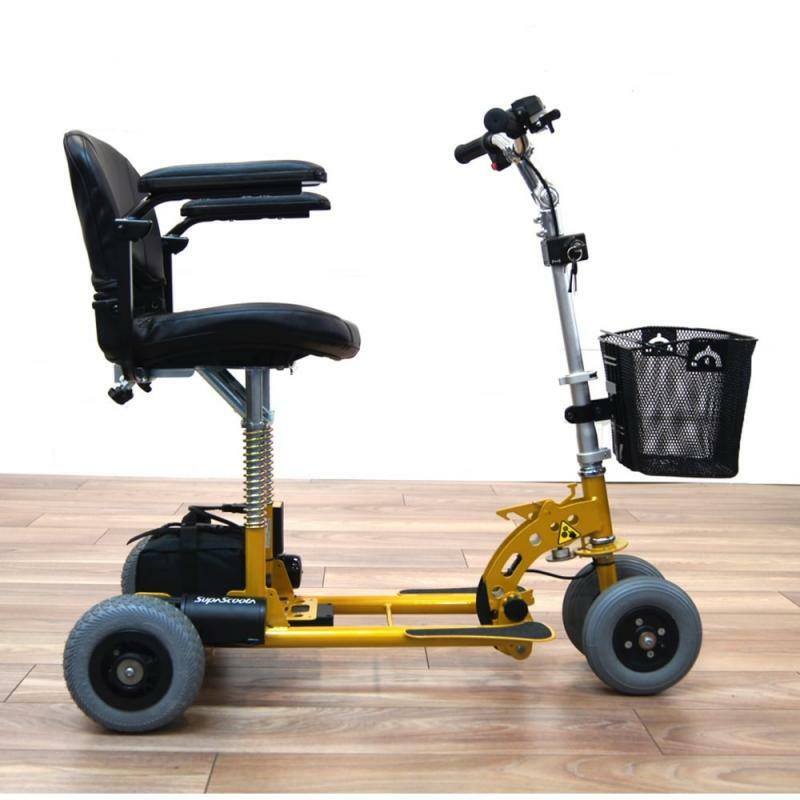 Our lift is designed to carry an end user & their mobility equipment from point A to B & may be rented for a special event or short term need. 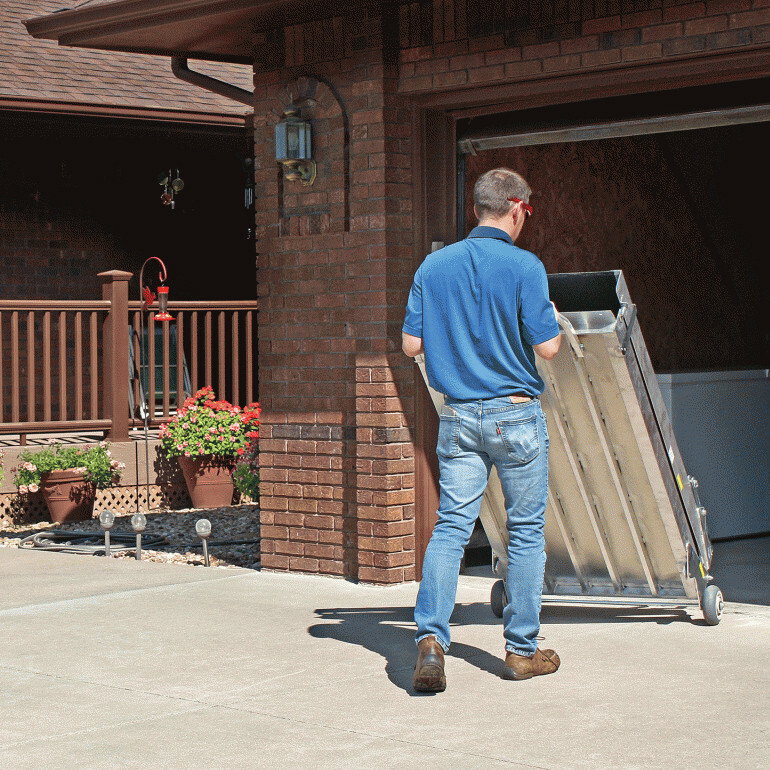 If you're not near our North Carolina office, we'll ship our lift to you and send you the installation instructions. Call us at 336.608.8810 or e-mail us for details. 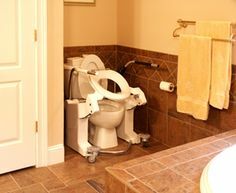 We make the interior and/or exterior of homes accessible in North Carolina & Southern Virginia. 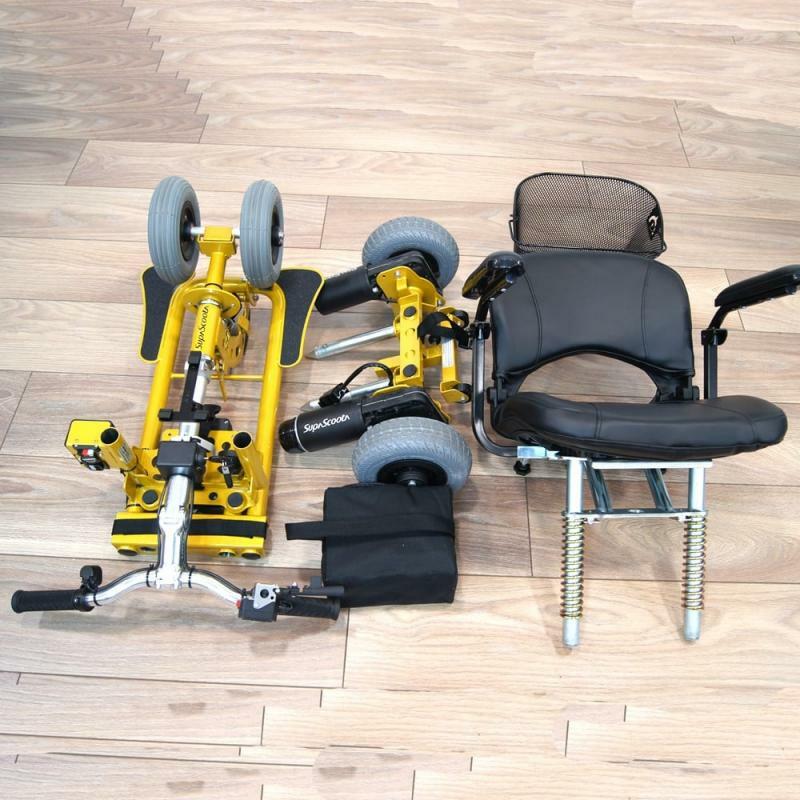 We sell, install, modify & repair products like hitch-mounted platform lifts for scooters & wheelchairs. 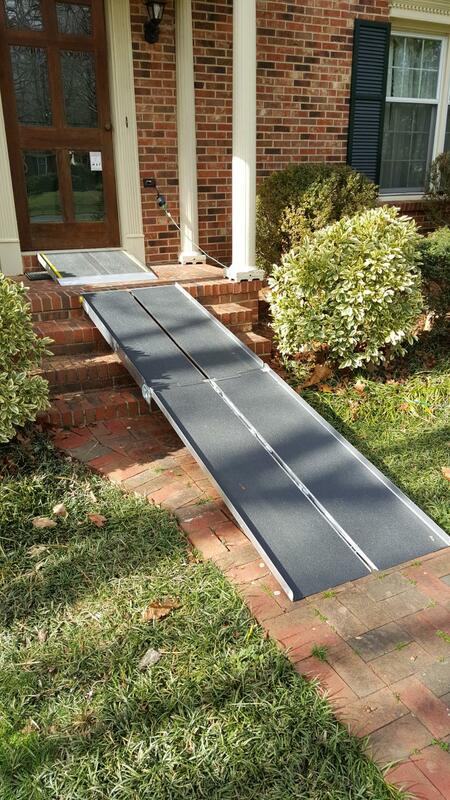 We also sell and rent portable ramp systems for your auto or home. 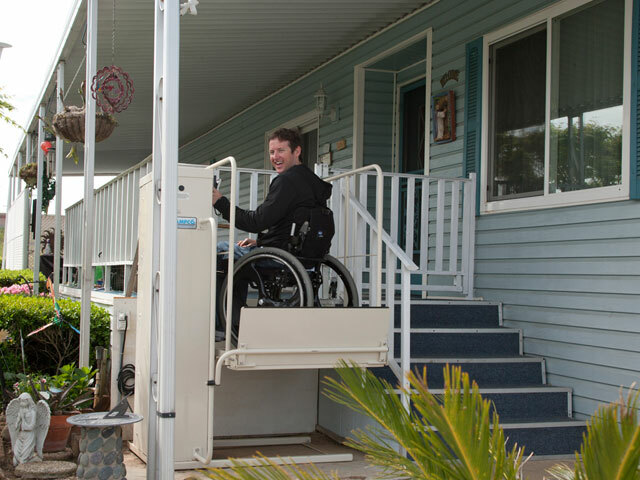 The two ramps in the image above were rented for several weeks allowing the home owner to access his home after surgery. 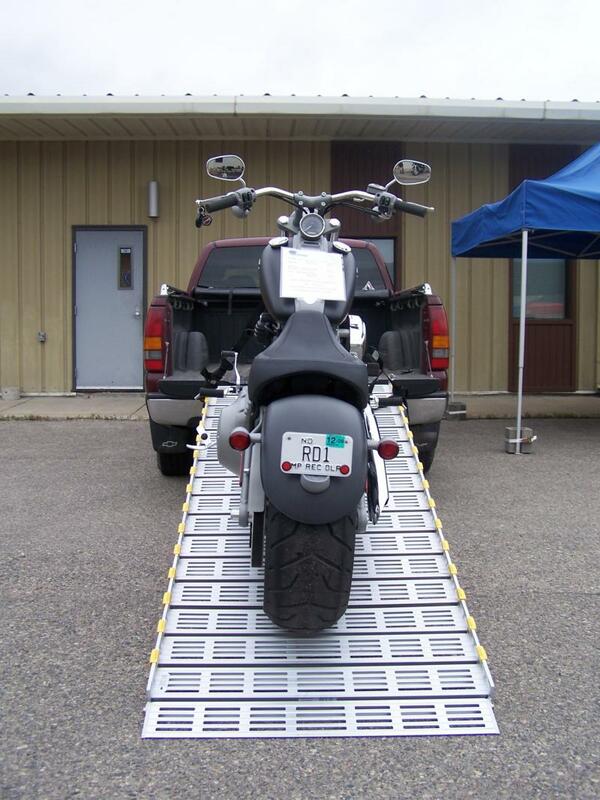 We sell ramps made by Roll-a-Ramp (RAR) like the one below used to load/unload this bike. 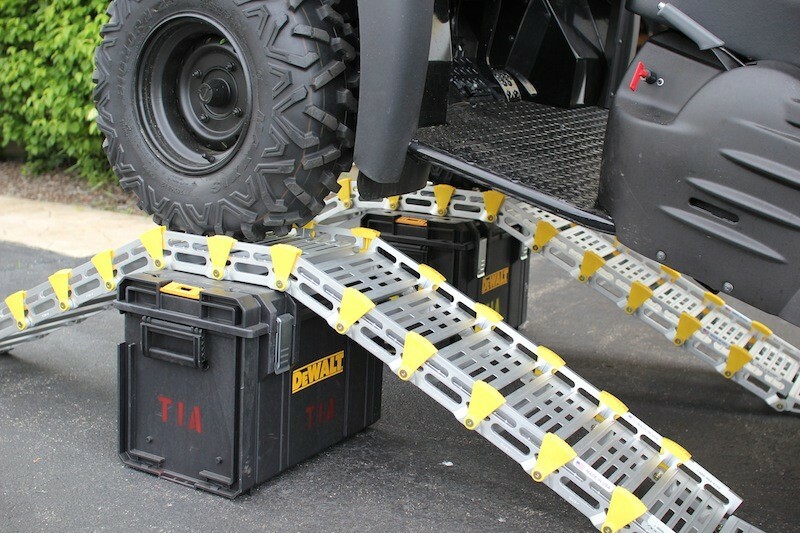 RAR ramps are usable with autos, boats, campers, RVs & vans. 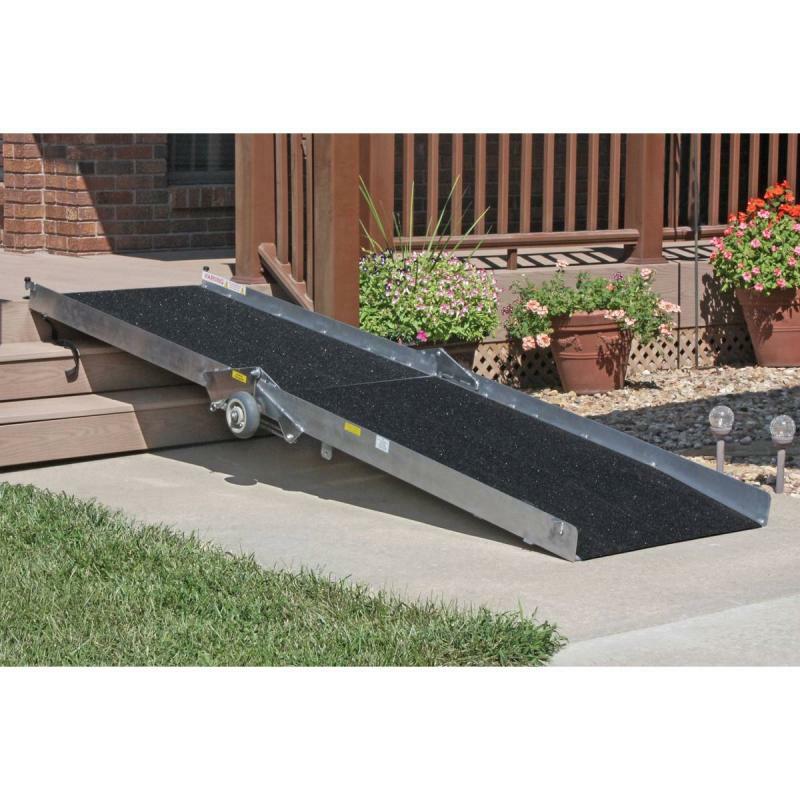 These ramps carry a ten-year warranty, a 1,000lb weight capacity and are made in the US. And yes, they roll up like an armadillo. 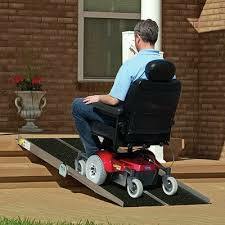 These ramps can handle scooters, wheelchairs or jus about anything else you want to use them for! 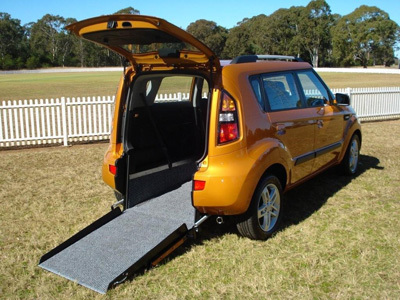 The image below illustrates a manual fold Roll-A-Ramp installed in a Ford Transit Connect. 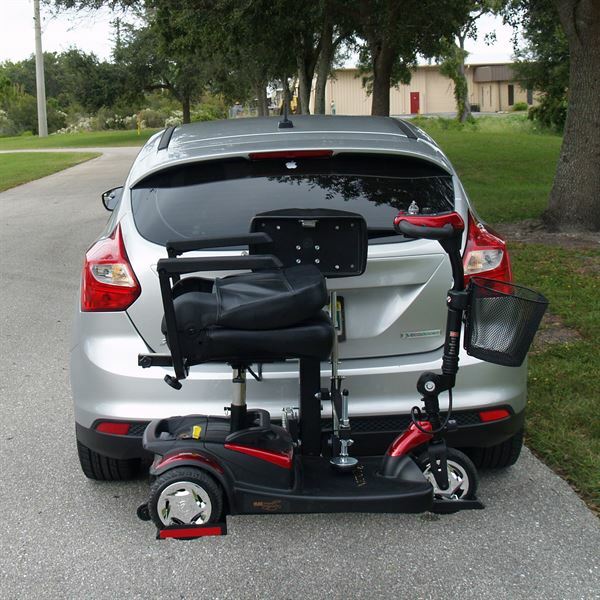 The vehicle owner uses a power chair to access his mini-cargo van. 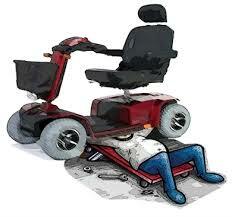 We repair equipment regardless of the original provider! ﻿To be a good steward of all that is entrusted to us. 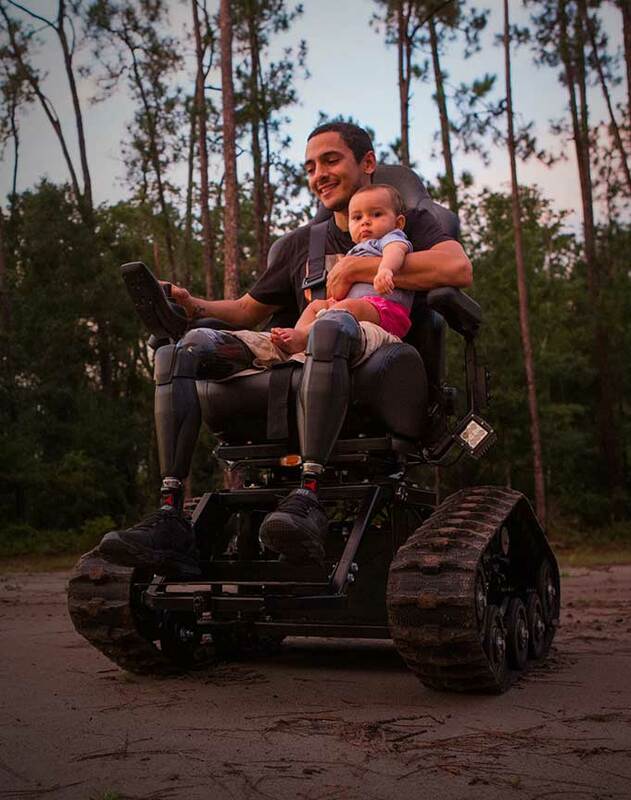 To invest in the lives of our customers with dignity, respect and honor. And to be quick to ask for forgiveness when we're wrong. ﻿ Note...All figures & fees quoted on our site are in U.S. dollars. 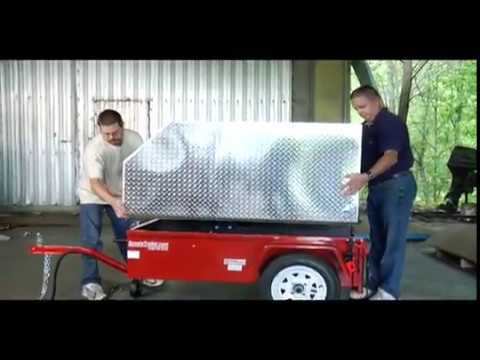 We sell, deliver & repair the TracFab (sizes include 30" and 36" wide). 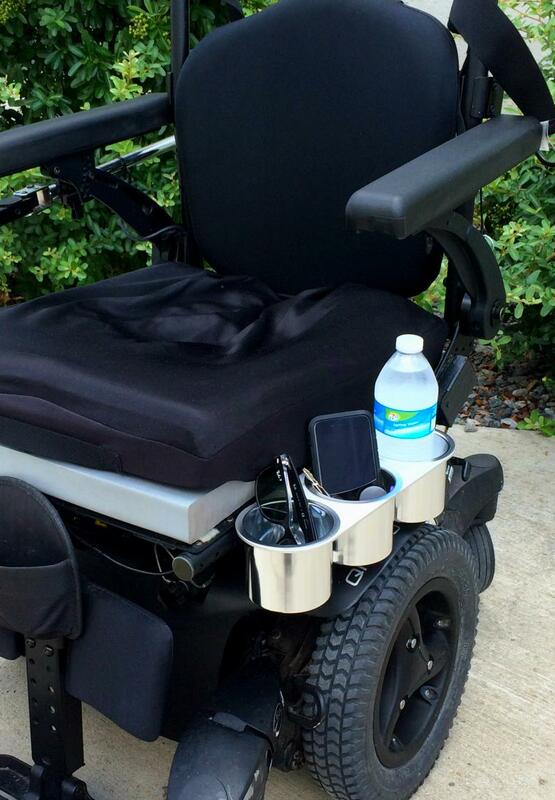 Made in PA, this chair will take you practically anywhere. 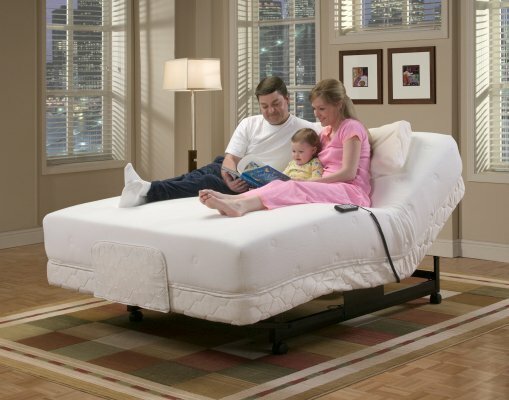 Companion not included. 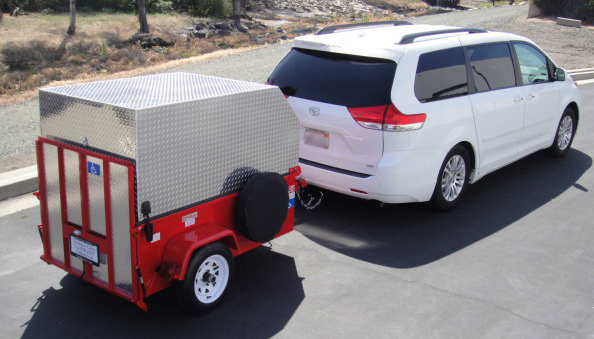 We sell the 'Gator trailer designed to carry 90+ percent of the mobility equipment on the market. 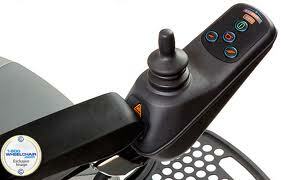 A slightly larger model is also available. Our 'Gator adds up to 75lbs of tongue wieght to any auto. 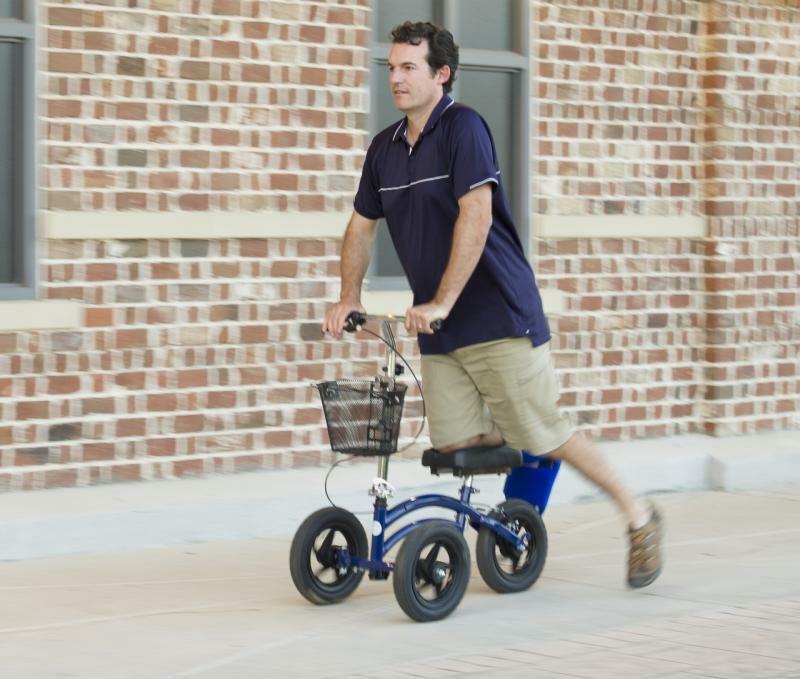 It's a workhorse for just about anything you can roll into it. 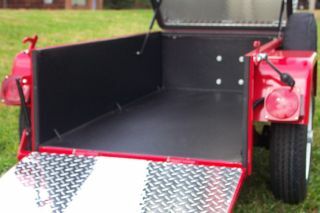 Options include the top (above) & spray-on interior liner (below). You may purchase the 'Gator and add the top later.